Celiac disease is an autoimmune digestive disease that damages the villi of the small intestine and interferes with absorption of nutrients from food. What does this mean? Essentially the body is attacking itself every time a person with celiac consumes gluten…Left untreated, people with celiac disease can develop further complications such as other autoimmune diseases, osteoporosis, thyroid disease, and cancer. Um, I don’t know about you, but the thought of a bagel causing my body to “punch itself” sounds downright miserable. My friend on the other hand, is feeling better than she has in years. Even though it is difficult finding her way through living a life and raising her daughter without gluten (aka pasta, beer, bread, pastries, cookies, cake and essentially every other addictively delicious carb), finding an explanation for all her intestinal issues is such a relief. Note that people with celiac cannot tolerate any gluten. Even a few crumbs can have an effect and trigger an internal attack. I have a family member who is also gluten-free. He doesn’t have celiac disease, but notices a marked difference when he eats gluten and when he doesn’t. He’s always been prone to having nose-bleeds and won’t have one for months, accidentally eats some gluten and voila, his nose starts dripping. He has chosen to skip the gluten completely and since he visits regularly, I’ve gotten used to checking packaging for hidden gluten. 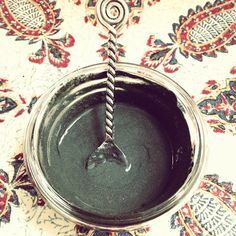 Ingredients: sea salt, garlic, breadcrumbs (unbleached wheat flour, calcium carbonate, salt, leavening [ammonium bicarbonate]), onion, silicon dioxide (to prevent caking), parsley. Sea salt – check. Garlic – check. Breadcrumbs – check…wait, what the heck? Why oh why would there be breadcrumbs in garlic salt? The only reason I can think of is it is cheap. It’s a filler, one that makes this 6oz jar look like a great value. 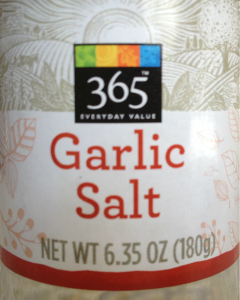 Except, I’m not really getting garlic salt, it’s more like I’m buying ground-up garlic bread. While it irks me that I’m getting bread in my seasoning, it makes me more annoyed that people like my brother and especially people like my dear friend and her daughter, could be eating gluten without realizing it due to sneaky practices like this. 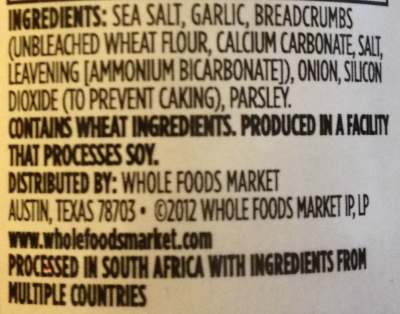 The Whole Foods garlic salt is only one example of hundreds of “hidden” gluten sources in packaged foods. 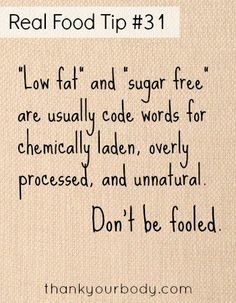 This reminds me yet again, that the only true way to know what you are eating is to make it from scratch, grow it from seed, and only buy from farmers/vendors/sources you trust and always, always read the label. Quick Tip: Buy plain garlic powder (be sure to check the label!) and mix in your own sea salt to make basic garlic salt. Is your breakfast cereal “natural” or “organic?” Think there is not much difference between the two? You’re not alone. Fancy marketing campaigns specifically designed to trick consumers into believing that these two terms essentially mean the same thing are in play every time you see a cereal box. But the true difference between “natural” and “organic” is huge and one organization took up the challenge of exposing this practice. 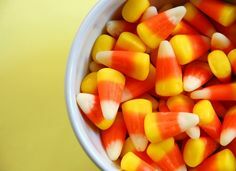 A just-released report from The Cornucopia Institute found many breakfast cereals bearing the label “natural” to be loaded with pesticides, genetically modified organisms (GMOs), and ingredients processed with unnatural chemicals. 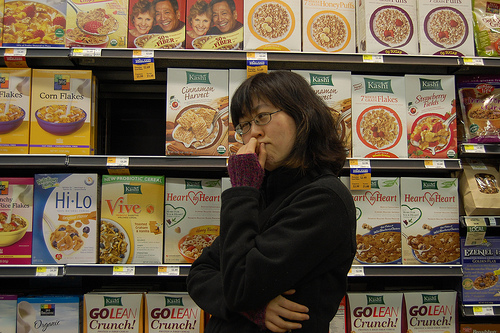 To be clear, the report was not looking at cereals such as Lucky Charms or Pops, but rather brands like Kashi, Barbara’s and Annie’s Homegrown; cereals and granola which are specifically marketed as health-conscious and “natural.” In Cereal Crimes: How “Natural” Claims Deceive Consumers and Undermine the Organic Label—A Look Down the Cereal and Granola Aisle, the analysis looked at over 45 “natural” cereal brands to determine how natural they really were. They also tested the products for the presence of GMOs. 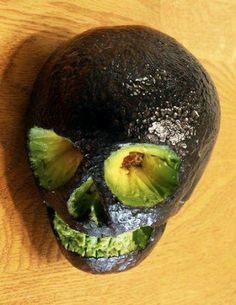 The results of the GMO tests were especially surprising. Even several brands enrolled in the Non-GMO Project contained genetically engineered (GE) ingredients. 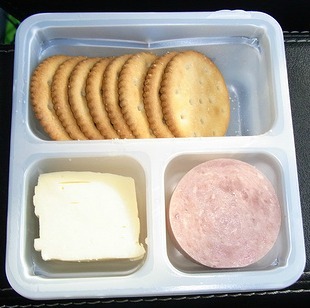 After doing a presentation for the Santa Barbara Girl Scouts, a troop leader came up to me with the empty box from a Lunchables package. She said she thought that given my presentation, I should see what was actually in this product. Notice how I used the word “product” instead of “food.” These are not interchangeable. 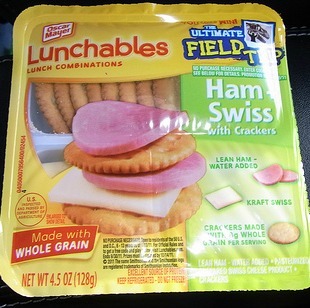 My goal with this post is not to make any parent feel bad about feeding their child Lunchables, but rather to open your eyes to what is actually in this item. Give them the good stuff. Made with Oscar Mayer bologna made with chicken and pork, Kraft American and Ritz Crackers. Includes Capri Sun Roarin’ Waters. Updated 9/20/11 – The full ingredient list of Ben & Jerry’s Schweddy Balls ice cream is now shown at the bottom of this post. 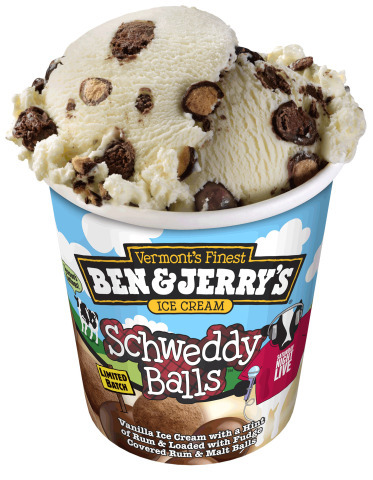 Ben & Jerry’s Ice Cream announced yesterday that “Schweddy Balls” ice cream is on its way to stores around the country. Schweddy Balls is a reference to the popular Saturday Night Live skit featuring Ana Gasteyer, Molly Shannon and guest host, Alec Baldwin. It is a parody on National Public Radio in which the actors continually refer to Pete Schweddy’s (Baldwin) dessert balls. The fun ensues when Shannon asks if she can touch Baldwin’s “balls” and then comments that she likes the way they smell. When I hear the term Sweet Bread, my mind wanders to a warm bakery on a morning where you can see your breath as you walk. The racks are partially empty as the bakers continually bring steaming-hot baked goods and elaborately decorated petits fours to the front display. There are gooey pastries, sticky buns, crumbly scones, and golden croissants. The smells of baked goods wafting from an oven are enough to make you forget about being “good” and word nutrition kind of goes out the window, doesn’t it? UPDATE: The contest is now over (congratulations to Angie our winner). Stay tuned for future giveaways. ‘Like’ us on Facebook or submit your info on our stay informed page, you will automatically be notified of new contests. 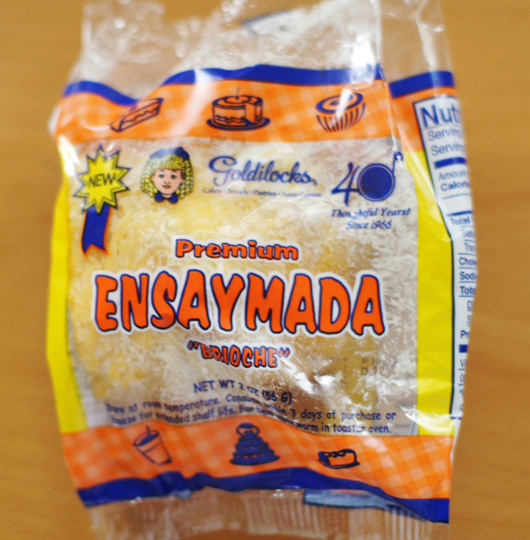 We came upon this ‘Premium Ensaymada Brioche’ at a Filipino bakery (Goldilocks) and were surprised at the number of ingredients it contained. So we bought it and have turned it into a contest! Simply write a comment below to guess how many ingredients are in this sweet bread roll with cheese on top. 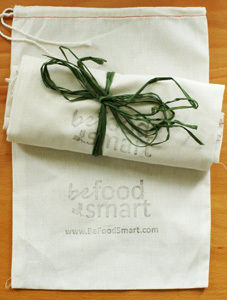 The person that gets the closest will win five of our hand-stamped, reusable, muslin produce bags! Contest starts Monday morning; see details below. We’ll post the ingredient list and winner on Wednesday. Let the games begin! Enter to win by leaving a comment on this blog post with your guess as to how many ingredients are in this food. 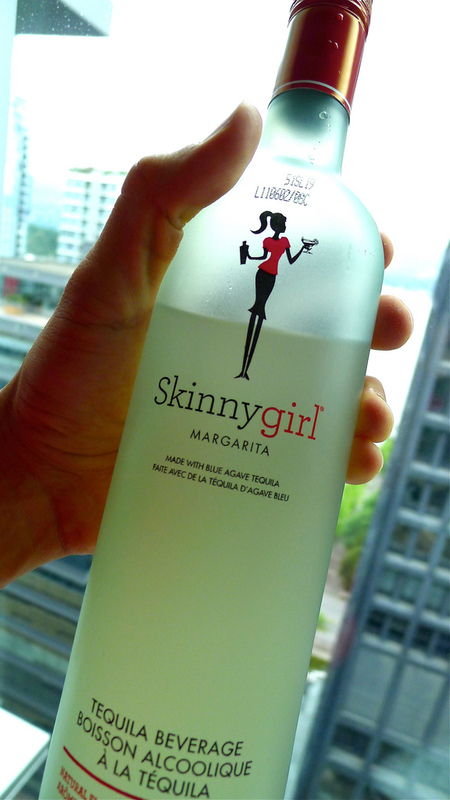 For simplicity, we will count all the ingredients on the label, even if some appear more than once. Winner will be selected and contacted on August 3. Reusable produce bags will be shipped soon after.